Most web based remote support software these days are hosted by the solution providers. The problem with this is that the data is traversing through a 3rd party relay and causes the users to be dependant on the reliability of the solution provider. To better describe this situation, imagine if you’re currently located in Singapore and you’re trying to provide some computer assistance to a client who is also in Singapore. If you are subscribed to remote support solution provider which is based in the US, the data transmission probably goes all the way to the server which is in the US and then back to Singapore. If the user experience caused by this distance and 3rd party relay is degraded, then you might want to consider implementing a self hosted remote support software for the best reliability and speed. One such software is ScreenConnect. The thing that differentiate’s ScreenConnect from most other remote support software providers has to be its self hosted remote support software and its price. 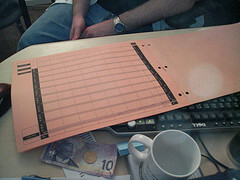 The cost comparison sheet provided by ScreenConnect clearly outlines the various costs associated to each of the software. Some as high as $200k or more a year. Luckily with ScreenConnect, the highest that you’ll pay for is $2,500 one time payment for unlimited sessions. Note that there’s also no monthly fees tied to it. In my opinion, it all depends on the level of remote support feature required. Some use it to conduct online trainings while some just need the software occasionally to support friends and family member who are having trouble with their machines. Before you invest in any high end remote support software, do check out ScreenConnect and give the self hosted remote support software a 30 days free trial a try to check if it fits your requirements. We are testing this out now in our corporation. It looks VERY cool! Good to hear that you’re testing this out. Let us know if it goes well. I can’t agree that this software is that cool. The installation process was painful and the guide was useless. Looks like it’s another VNC product and why do I have to pay for free VNC products. I agree that self-hosted solution is more reliable than 3rd party solution provider. And there is another self-hosted solution: hardware-based remote support appliance. I agree that this software is a cut above the rest and self hosting means you don’t have to pay a service provider each and every month. I have used the software and find it to be the best bargain out there. In addition, I can restart the connected client in safe mode to troubleshoot malware infections remotely. Others cannot do that!